It’s the Same Old Song – But Can We Clean Up the Lyrics? In 1985, Tipper Gore, wife of then Senator and later Vice-President Al Gore, and three other women formed a committee called the Parents Music Resource Center with the goal of forcing record companies to place “advisory” labels on certain records/CDs containing objectionable content. From day one of this fiasco I was pissed. Who in the world, thought I, has the right to do something so friggin’ fascist? I suppose it was an attempt to sanitize our young people in hopes that they would grow up to be squeaky clean adults, with nary a disparaging thing to say. Does anybody know who spoke those magical words? Anybody…anybody…Bueller? It was none other than Adolph Hitler. Hell, yeah – what better man to emulate in the efforts to “cleanse” our society of its woes? Then came the sixties…forget it. So the question is this – If the lyrics are unintelligible – how did the parents know they were obscene. The answer is sad – They didn’t. They were acting out of fear that their children were being corrupted. When the seventies saw the birth of disco things hardly improved – all that disgusting dancing was surely a sign of the deterioration of our society. Next came Heavy Metal…this stuff was the voice of Satan himself. I’ve heard the song and read the lyrics and I’m sorry – but if you listen to it and give it some thought it becomes obvious that the song takes an anti-suicide position. Sadly – these parents were despondent over the loss of a child (and rightfully so) and needed someone to blame – because it certainly couldn’t be their fault. So that brings us back to Mrs. Gore, et al and her plan to restore moral integrity to this country one song at a time. 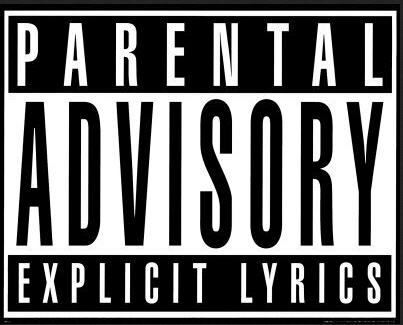 The goal of the PMRC labels is to warn parents, not children, of the content of the music, thus enabling said parents to make sure their children aren’t being corrupted by the music in question. I’m no expert – but when you tell a kid that something is bad for them, what usually happens? You got it – they race out and try it. So my question is this…Who determines what is objectionable, explicit or detrimental to the kids? Each child has two people responsible for his mental health, safe upbringing and moral development…they’re called parents. It is the duty of every parent to teach their children right from wrong and all the other important stuff so that when they do hear a singer telling them to do something questionable they will be armed with a moral compass strong enough to guide them through it. The thing that really mystifies me is this; when kids grow up and become parents why do they expect their kids to be any different than they were? Once again the PC Police are trying to enforce the values of a minority onto the majority. This is unacceptable and should piss everybody (parent or not) off. History has shown us time and again that it can’t and won’t work…so what the hell makes us think we are any different?